The state has recovered Sh3 billion from proceeds of corruption and money laundering in the past two years. This is according to Attorney-General Paul Kihara who gave a report on Monday, adding that the amount is part of corruption proceeds from the National Youth Service, Youth Fund and Kenya Revenue Authority scams. In the speech issued during an anti-money laundering and asset recovery workshop at Radisson Blu Hotel, Nairobi, Muthoni Kimani said the assets include cars, houses and other properties that were acquired by money stolen from the public. The Director noted that about Sh500 million has been recovered from the first NYS scandal where more than Sh800 million was embezzled in 2015. A further Sh2 billion has been repossessed from the second scam at the agency involving the loss of Sh2.5 billion through suspicious payments. “We have recovered an apartment which we confirmed was acquired by money stolen from Youth Fund but we can say this was a clear case of money laundering because the value of the property does not match the money paid,” Muthoni said. She added that the Assets Recovery Agency has frozen several bank accounts both locally and abroad after signing legal mutual assistance with several governments to recovered looted cash stashed in offshore accounts. “We do not wait for the criminal processes to be concluded. 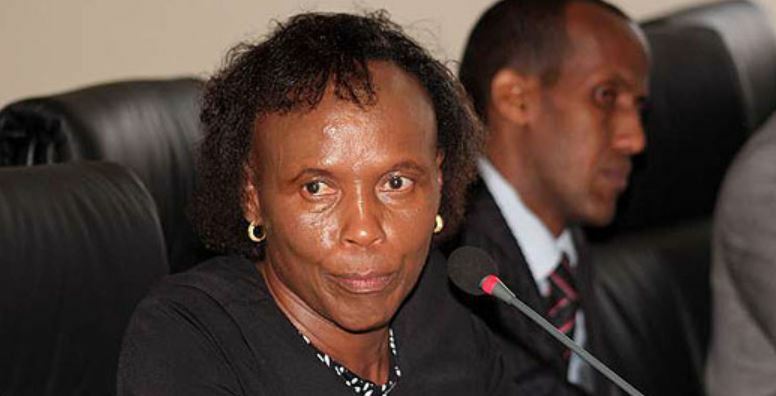 So long as we have received intelligence that property was acquired through illicit money, then we move in and cease it as the DCI deals with the criminal bit in court,” said Muthoni Kimani.